The first trailer for Len Wiseman’s (Underworld) reboot of Total Recall dropped earlier this week, but now we have a look at some behind-the-scenes action as well as a bit of character information from the stars themselves. In this featurette, Colin Farrell, Jessica Biel and Kate Beckinsale talk about their respective characters as well as their experience during the shoot. 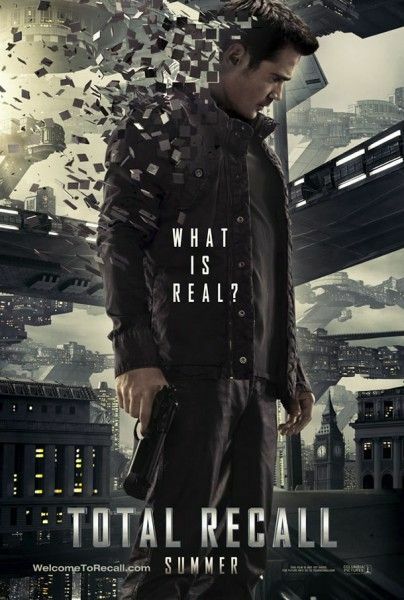 Total Recall follows Douglas Quaid (Farrell) who uses the company, Rekall, to implant memories of life as a secret agent into his otherwise dull existence. The plan apparently backfires as his beautiful wife (Beckinsale) then tries to kill Quaid, who then teams up with a (beautiful) rebel fighter (Biel). Total Recall, also starring Billy Nighy, Bryan Cranston and John Cho opens August 3rd. Hit the jump to see the featurette.